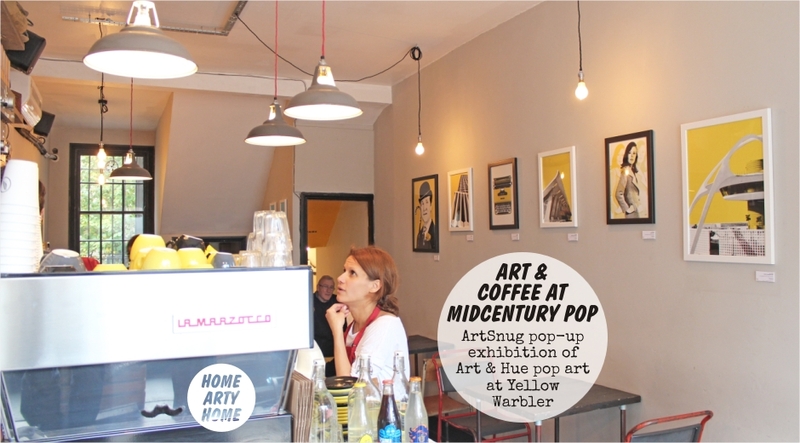 The rise of the coffee shop has been relentless over recent years and understandably so. 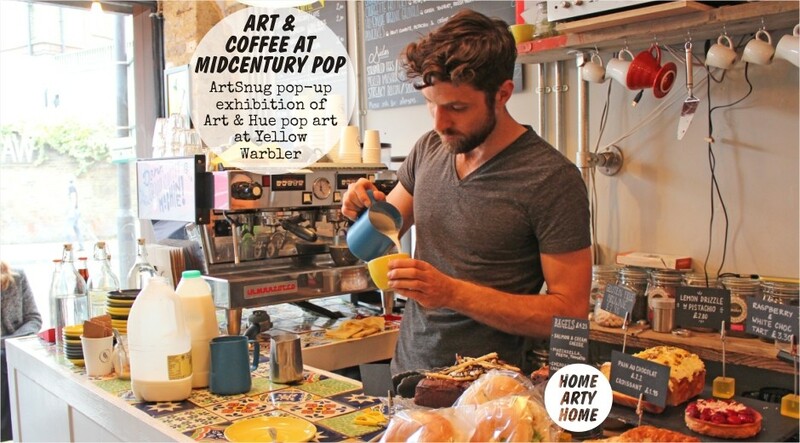 Convenient, local, and affordable, a leisurely pit-stop for caffeine and carbs is one of life’s pleasures that won’t break the bank. 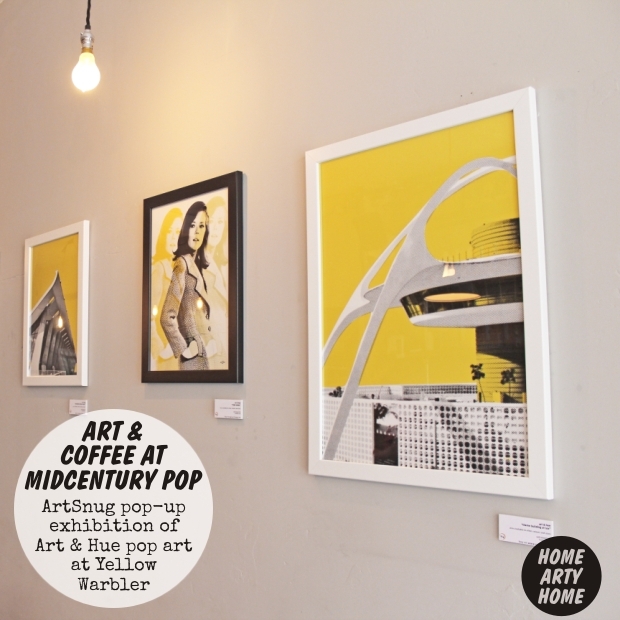 Treating ourselves to a well-made flat white and slice of homemade cake is a lot more affordable, and less of a commitment, than risking an expensive new restaurant, so it’s always a pleasure to discover a comfortable and welcoming coffee shop, especially one that promotes new art. 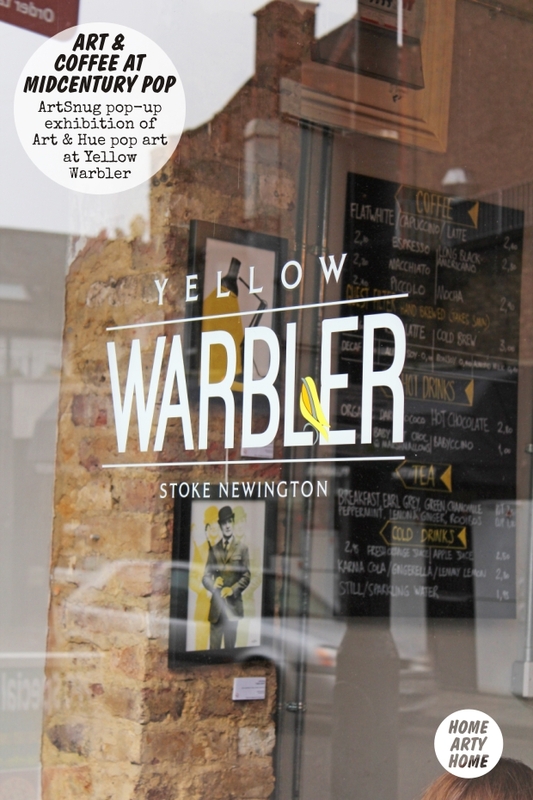 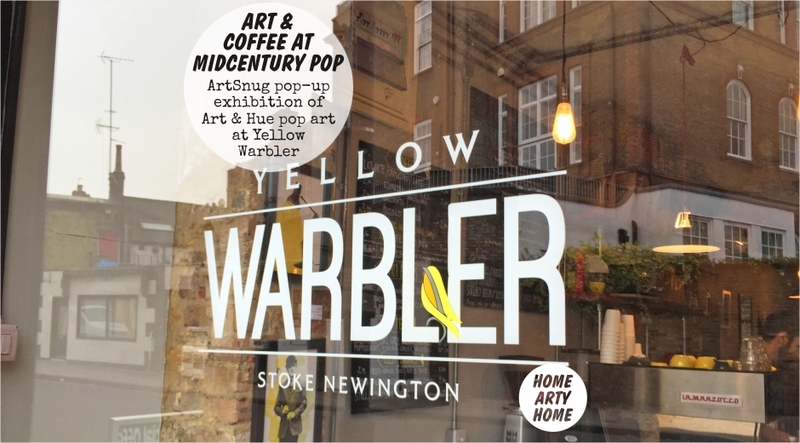 Yellow Warbler in Stoke Newington is just such a place – as well as a passion for good locally-roasted coffee, including single-origins and premium blends, this delightful find also has an ever-changing programme of art exhibitions to highlight and promote contemporary art. 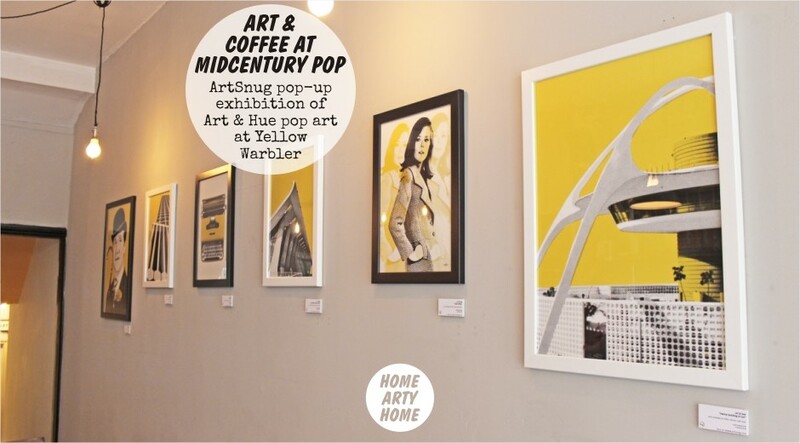 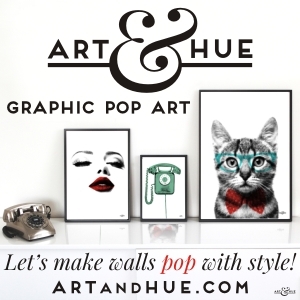 From the 2nd until the 30th of November, ArtSnug have installed a pop-up exhibition of pop art by Art & Hue. 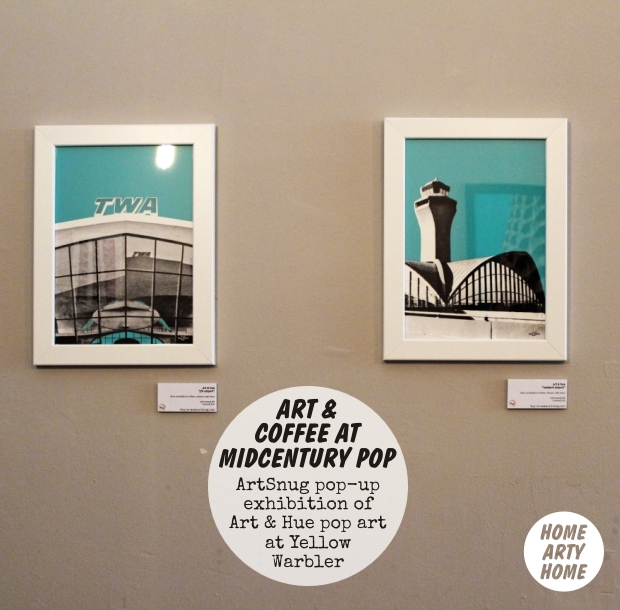 Called MidCentury Pop, the themes on display include Brutalist architecture, Modernist Jet Set, MidCentury office, and the cult 1960s British TV show The Avengers. 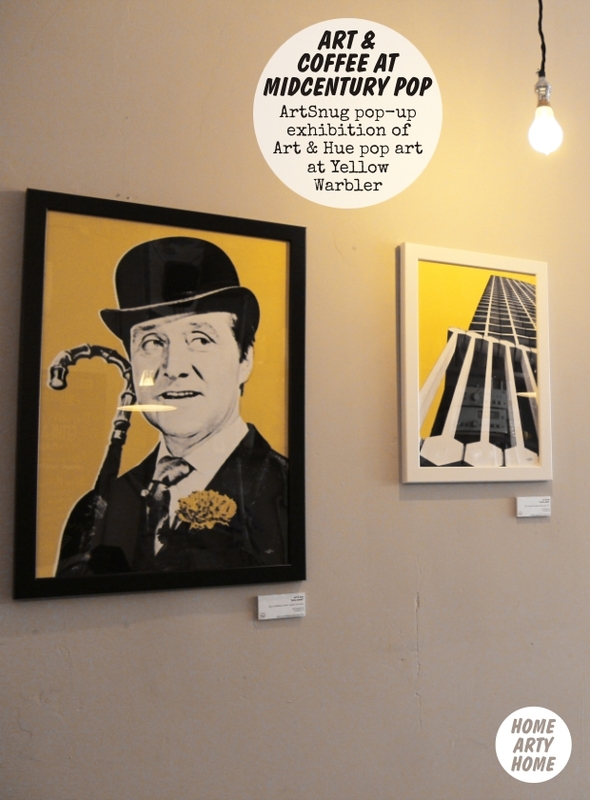 It’s wonderful to see the quintessential English gentlemen John Steed in the traditional City outfit of bowler hat and umbrella looking across at the tasty pastries and cakes. 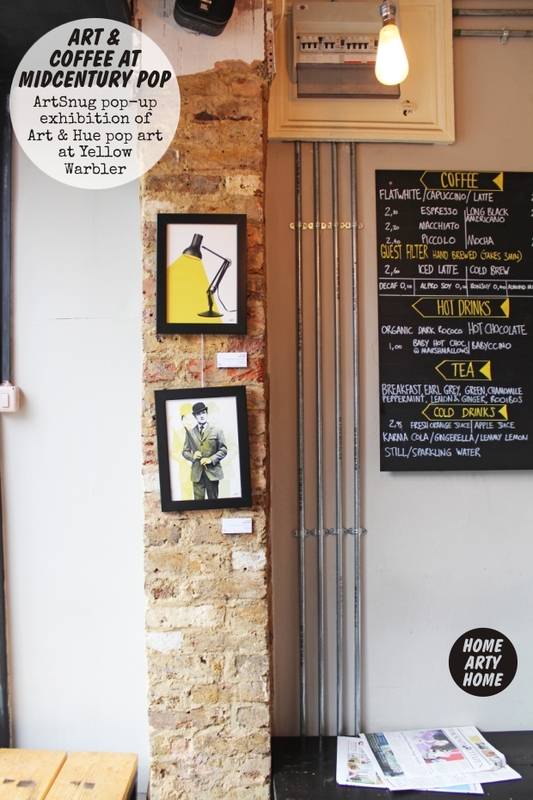 Head to Yellow Warbler before the 30th of November to appreciate the detail of the art up close and treat yourself to something from the organic South American-inspired menu whilst you’re there.